Frozen Food Business: is it Worth it? A solution to your Freezer Frosting Problem! Is Frozen Food Healthy ? Before we go on and talk about the thriving success businesses are having by using advanced freezing technology. First let us look at what’s frozen food and how different it really is from it’s fresh counterparts. One of the main points that I will go through is the fact that frozen food is just as healthy as “fresh food”. There are various reasons and I am going to go through some of these points in this article today. 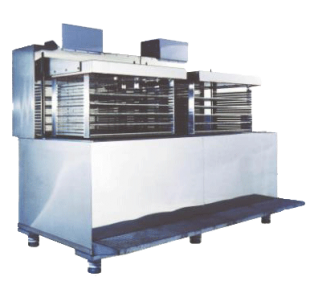 When food is frozen, the method in which food is frozen is the same across home and industrial use. 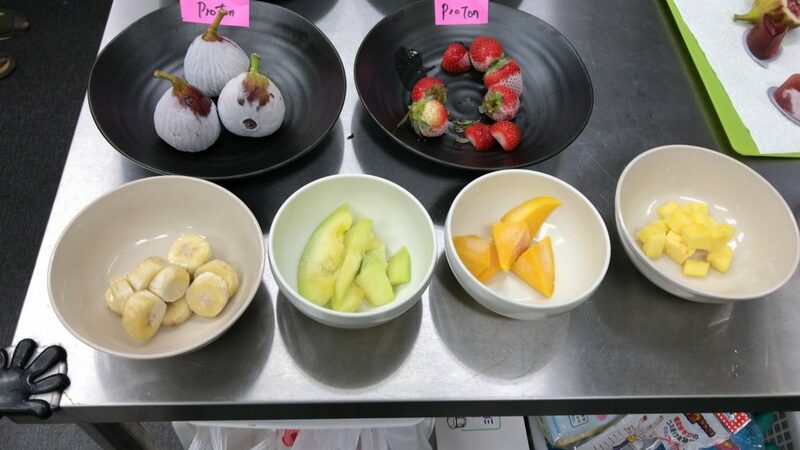 Now, the quality is vastly different, but generally, when food is frozen, it is placed in an environment where the cell wall’s water particles crystallize on a molecular level. But enough about the technical aspects of freezing, I am sure you are here to see whether entering the frozen food business is a viable option for your as a business owner. Let’s find out! 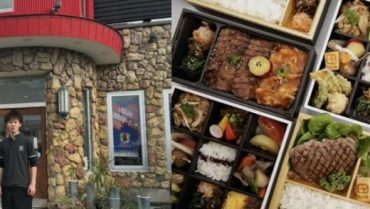 Is having a Frozen Food Business Viable Today? Now to get to the main question that all of you current or future business owners have on your mind right now. “ Is going into the frozen food industry a viable business option?” The simple answer is yes! Now, it may be true that the fresh food industry has been increasing in terms of total revenue, but the frozen food market, once pronounced dead, has maintained its overall numbers with close to 250 billion dollars as of 2016 (numbers curtsy grandviewresearch.com) , these numbers have maintained throughout the year, and with the advancement in food freezing technology, the total market value is only expected to increase in the upcoming years. Of course, that does not answer the question: is it viable for YOUR business. And the answer to that question is yes. 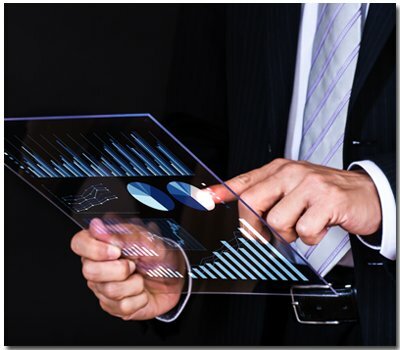 Even if you manage a fresh based business that provides fresh goods to your customers, calculating the exact number of customers that will purchase your product from a day to day bases is quite difficult, and just throwing out any food is a lost in your total inventory and more importantly, it is a lost of potential revenue for your business. 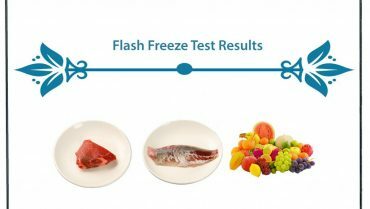 As we previously stated, freezing technology has advanced to the point that it is possible to maintain most of the freshness of the food that is frozen. This is done through various new freezing methods that are currently available in the freezing market. This new wave of freezing technology makes sure frozen food is well preserved while still maintaining the original flavor and texture of it. In our case, we offer new freezing technology, and we call it, flash freezing technology. 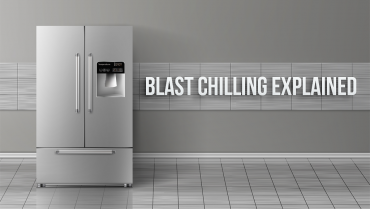 Let us go over our main flash freezers, their features, and why these freezers can help businesses thrive in the frozen food industry. Now that we know entering the frozen food business is an option to even businesses that focus primarily on providing their customers fresh food. 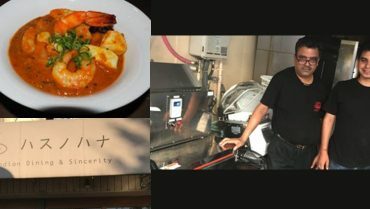 The reason all these businesses want to only provider their customers with fresh food is because business owners want to make sure the products that they provide to their customers is high-quality. 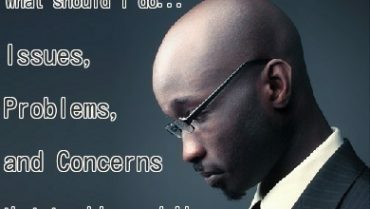 That is one of the most important points that most, if not all business owners have with their products. 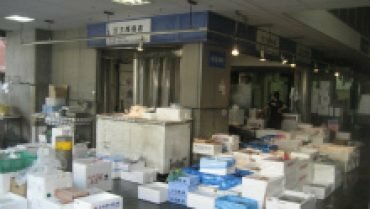 When business owners think about the frozen food business, or frozen food in general, it is usually perceived that the food is negatively affected if it is frozen and stored for a long period of time. And in the past that used to be the case to some extent, but now with new, advanced freezing technology, you can now freeze your products without having to worry about the flavor, texture or moisture of your product deteriorating. Let us look at our 2 main flash freezers that you can use to maintain your products freshness while still being able to freeze store them. These two freezers use flash freezing technology which also helps with increasing the speed in which the food is frozen, allowing business owners to increase the speed of their frozen production while decreasing drip loss and loss of texture, flavor, and moisture. First up is our most popular Flash Freezer, our 3D Freezer. 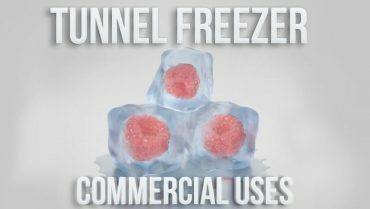 Clients use or 3D freezer and it’s unique flash freezing technology which uses 360 degree cold fronts to completely freeze products for frozen food storage. This new advanced technology not only allows you to store your frozen food for a longer period of time but it also allows you to maintain the frozen food’s original flavor, texture, and moisture. This is all done while still decreasing the freezing time via increasing the overall rapid freezing speed. And with the advanced freezing technology, all of these features can be used and still be able to maintain a low running cost relative to other conventional freezers. 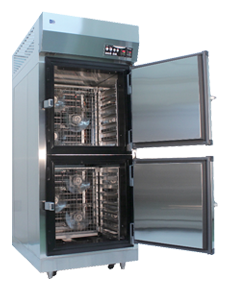 How the system works is the 360 degree cold fronts hit the contents that are inside the freezer from all sides, all the while cycling the cold fronts within the freezer, not intaking hot outside air, allowing internal air circulation. This not only increases freezing time, lowers costs, but it also gives the 3D freezer the advantage of being able to freeze hot, or fully cooked contents ( a feature ONLY found in our 3D freezer) of up to 90 C degrees, without affecting the freezing speed nor quality ! This is great news for those business professionals that need their frozen food right after it has been cooked. The rejoice freezer is one of our fastest flash freezer. It is also one of the fastest commercial freezers in the market today. Our ReJoice freezer is able to almost instantly freeze the surface of products and rapidly freeze the entire frozen food using ReJoice’s powerful thermal conductivity of alcohol brine, allowing it toe freze some contents in a matter of just minutes, instead of hours. When you are looking to get into the frozen food industry, and you need your frozen food to be done and ready for storage rapidly on a daily bases, then maybe our Rejoice is the right freezer for you. 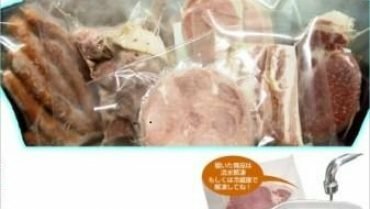 Please do not that all the food that is frozen in the Rejoice freezer must first be placed inside a air tight sealed bag to make sure non of the freezers liquid gets in it. Now, the alcohol brine is safe both to touch bare handed for a short period. It is also fire proof safe so even though it is brine base, the system that is put in place does not cause fires even if there are flames close to it. Now I would not suggest lighting the entire freezer on fire, but just in case you are cooking and some sparks fly inside the freezer, you can be assured that the freezer will not burst into flames. Is a Frozen Food Production easy to implement? Now that we have looked at our 3 main freezers and their features. The next question that I am sure you business owners have is, “Can implement freezing in my current production schedule?” to put it simply, yes you can. Of course you would like a little bit more of an explaining in these regards on how adding a freezer to make frozen food will not necessarily decrease your production speed. Well not only do our freezers are all order made, which gives our manufacturer the freedom to make changes or adjust the design based in your company needs. Another great way to make sure you will be able to fully implement freezing into your current production would be to set up a connection between your production line and the freezer line which will then have frozen food ready at the end of the production. 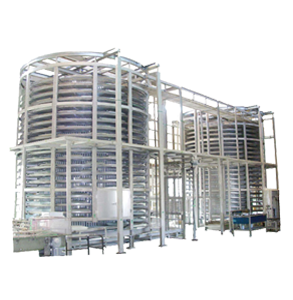 A tunnel or spiral freezer would work best with this set up and would decrease workload and increase the speed of production. There are various ways to get your production and implement a freezer without slowing down your production line. If you are interested in learning more, please feel free to contact us and receive one on one consultation from freezer experts! Please contact us via the blue mail toggle, contact page, or you can contact us directly via [ support.en@flash-freeze.net ].